Today we called Arkan, he said that the wheel is already in the repair shop and it will be ready tomorrow afternoon or Friday morning. As it was quite badly bent not just because of the road in Kazakhstan, but because the mechanic in the oil plant tried to bang it back into shape with a hammer, the result might not be perfect. Let’s see if at least it holds the air well enough to allow me to continue travelling. On the positive side, I discovered why my 12V plug was not working. It is rated at a maximum of 20A, but the guy who installed it had fitted a 10A fuse, which had blown, as the compressor uses 15A. I got news from Martin, from Uzbekistan. 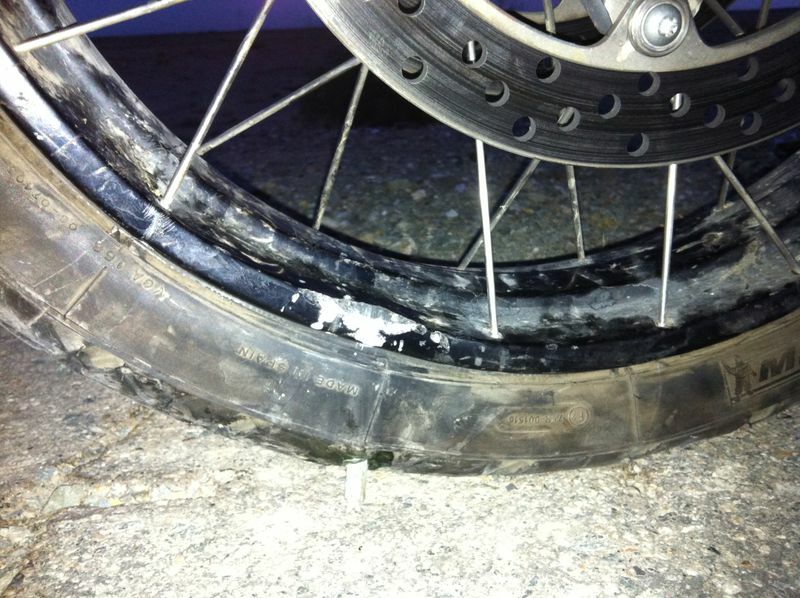 Hit a rock on his GS Adventure and bent the front rim as well. A trucker stopped and helped him bang it back into shape. He said it is holding the air, let’s hope he has better luck than me! 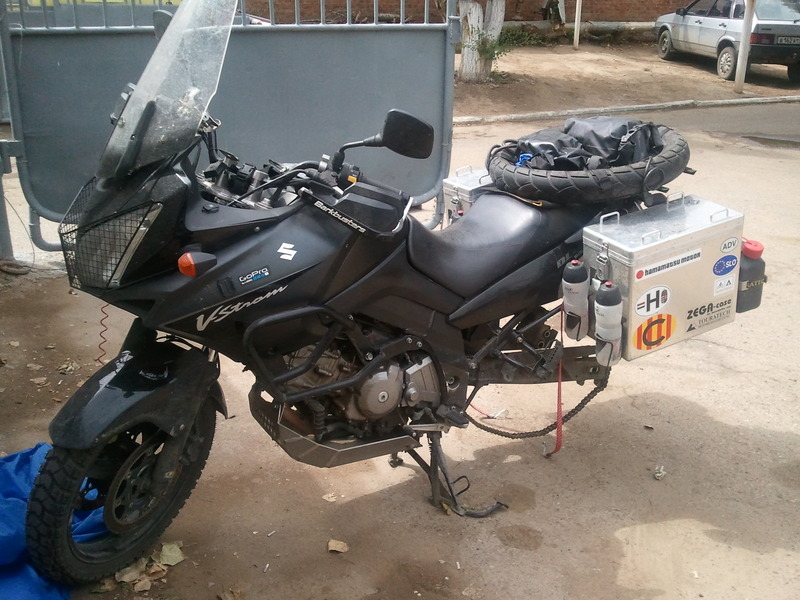 This entry was posted in Stroming The World 2013, Travel and tagged Astrakhan, Martin, rim, Uzbekistan by Kilian. Bookmark the permalink.